Please note that above price is subjected to change and is for reference purpose only. Kindly contact Skoda Nepal to get the latest showroom price. Note: Skoda car price list was last updated on February 12, 2019. Skoda cars in Nepal are distributed by MAW Enterprises Private Limited. It is part of MAW group which sold brands like Yamaha, JCB and Fiat in Nepal. Škoda Auto or shortly known as Škoda, is a Czech automobile manufacturing company. It was founded in 1895 as Laurin & Klement with headquarter in Mladá Boleslav. In 2000, it was fully owned by Volkswagen Group. Since then, it is the subsidiary company of Volkswagen, focusing on entry level cars. However, over the period, Skoda cars have become popular on high-to-middle class market. Therefore, it overlaps with some of the mid-high range products of Volkswagen cars. It was able to make sales of 1.13 million worldwide in 2016, which is increasing every year. It also takes part in motorsports such as World Rally Championship. 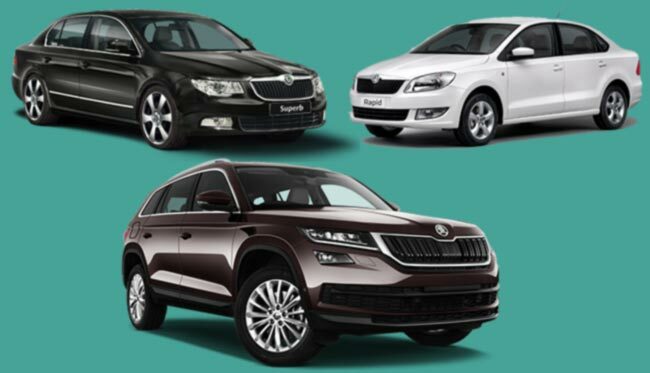 In the Nepali market, Skoda is currently selling 3 models of cars along with their variants. These include Skoda Rapid, Skoda Octavia and Skoda Kodiaq in both petrol and diesel versions. The price of these Skoda cars in Nepal starts from around 38 lakhs and goes upto 1.6 crore. Therefore, its target group in Nepal is mid and high range customers rather than entry level customers. Also, you can message us your queries regarding Skoda car price in Nepal or its specifications/features at our Facebook page.